Many pets require regular grooming or may just need a trim from time to time. 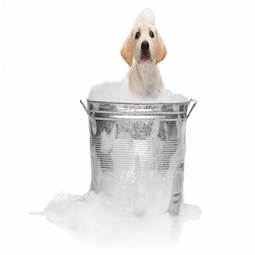 Our professional grooming and bathing staff are qualified for a variety of breeds and styles. The advantage of having your pet grooming at our hospital is the peace of mind that a veterinarian is available to review any concerns you may have. Certain dermatological conditions may require special shampoo or cleansers, which can be done during the grooming process. Grooming is performed by appointment only, so call today to schedule an appointment!